Me and some friends were invited to sample some pies and beer (how could I say no?!). It was actually my first time in Shooters as I'm not really that into sports but my friend Adam had been there before to watch some football games and I can see why. The atmosphere of the bar was absolutely buzzing and there are lots of big tv and projection screens, it certainly beats watching a game at home. 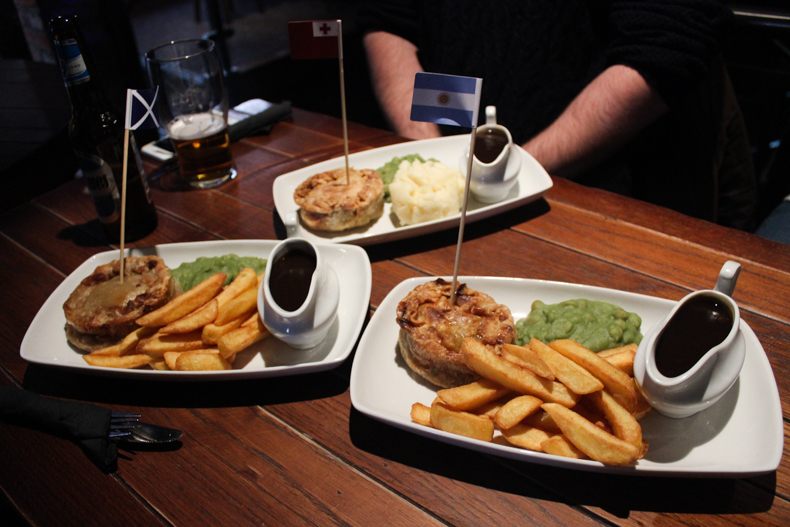 My friends ordered a selection of pies which were: Argentinian, Scottish, & Tonga. For the beers they picked Guinnes Double Porter, Quilmes, & Sierra Nevada. I must say the selection of beers was brilliant, they really complimented the pies. My friends decided that the Argentinian pie filled with chimchurri steak was their favourite. 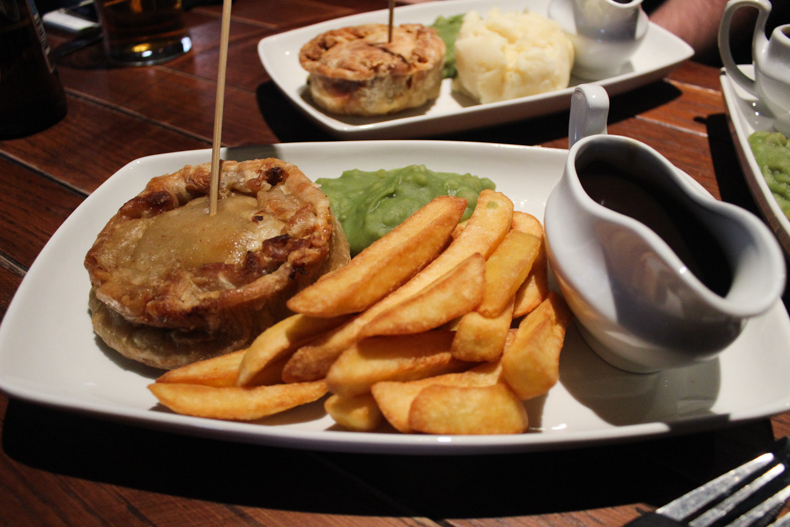 The pie and beer pairing costs only £7.95 and I personally think that any Rugby game would be better with a pie! Unfortunately, because of my gluten intolerance I couldn't sample any pies but I had the Louisiana Gumbo which was delicious. If you're after some great atmosphere and some tasty grub whilst watching a game, then Shooters is the place for you! You can also find me in all of these places, I'd love for you to come say hi! 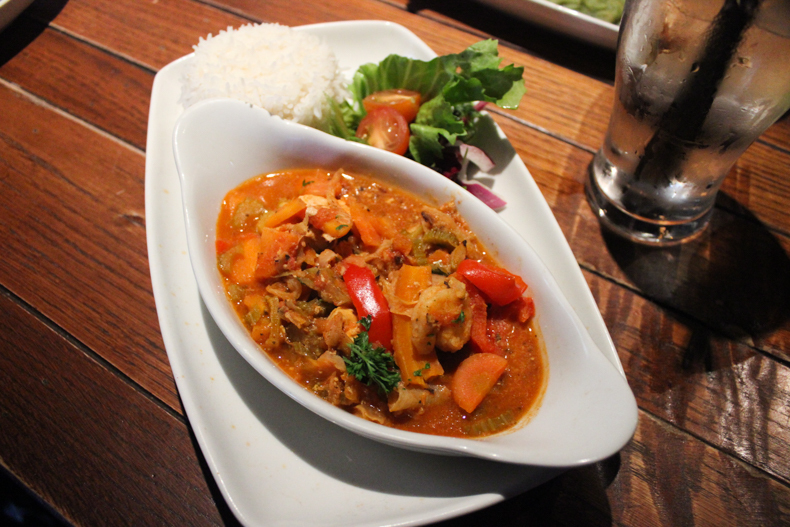 GUMBO IS AMAZING! My husband is from the US and often makes his family's special Gumbo. Glad you enjoyed it!